Roman Reigns has become one of the most divisive names in the pro wrestling industry. Despite being incredibly popular when he was part of The Shield, Reigns has been boo'ed by fans ever since his singles push started to become "forced," in their opinion. One could pinpoint that moment to when he won the 2015 Royal Rumble, as fans very much wanted to see Daniel Bryan win that year (despite Bryan never being advertised as a participant in the Rumble). 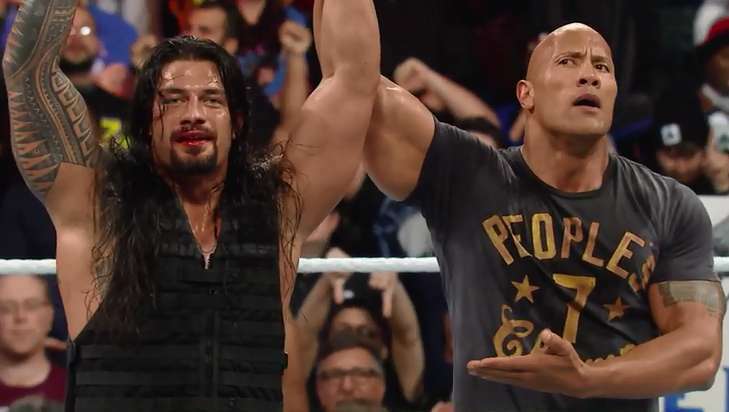 The images of Reigns victorious in that year's Rumble in Philadelphia side by side with The Rock, as the fans boo'ed and The Rock looked confused have become legendary. Though he had received boo's prior to that night, it was the night of the Rumble victory that opened the flood gates that WWE has been working against ever since, attempting and failing to get him cheered by the majority of the crowd. Despite being one of the best performers on the roster when it comes to his in-ring ability, Reigns still elicits a passionate negative response from fans. Reigns spoke about the negative response that he gets from many fans recently as a guest on the Cheap Heat podcast, and he has a theory for why he elicits that negative response from a good portion of the crowd. "I think there is a lot of different things you can chalk it up to I’m sure," Reigns said. "In life, everyone wants to see you do good, but not too good, you know what I mean? Once you pass that threshold of doing really well for major success, then I think the questions, possible jealousy come out and that is when negativity starts showing its face, but if you are strong in your convictions and know who you are, you have to be bulletproof to that." Reigns indicated he doesn't really care if he receives boos or cheers because he is eliciting a response either way. In essence, that is WWE's theory as well at this point. Reigns consistently is one of the most searched WWE stars on the internet. For example, his videos are often times the most viewed on WWE's YouTube page, so WWE sees the fan response (in both directions) as indicative that he is someone fans are interested in. To them, they are just looking for a strong reaction, and Reigns earns that from fans.